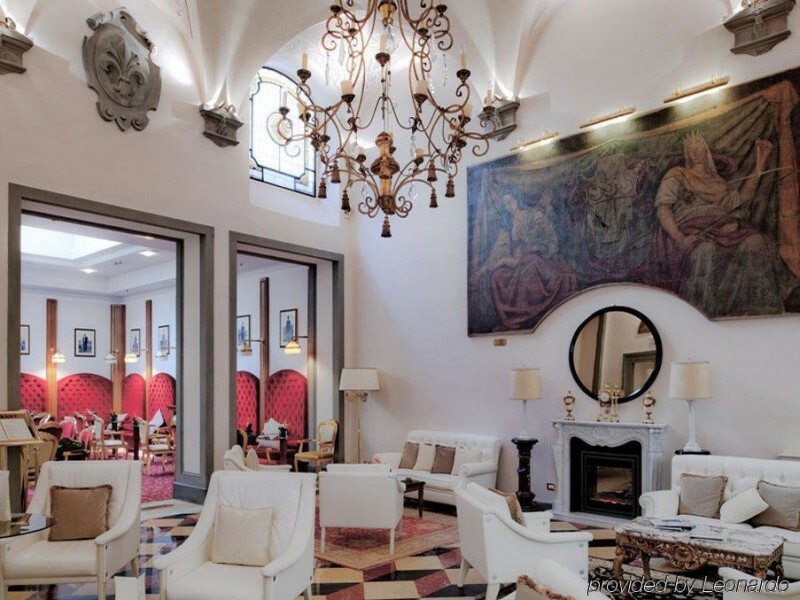 Live in luxury like a famous Florentine family in Florence, the Strozzi’s family. 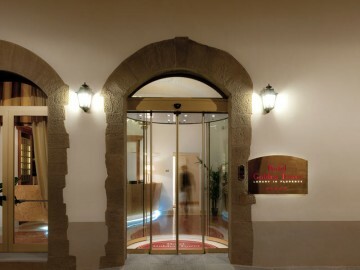 Housed next to the Strozzi Palace, the Golden Tower Boutique Hotel & Spa occupies the tower in which the Renaissance banking family lived up until 1492. 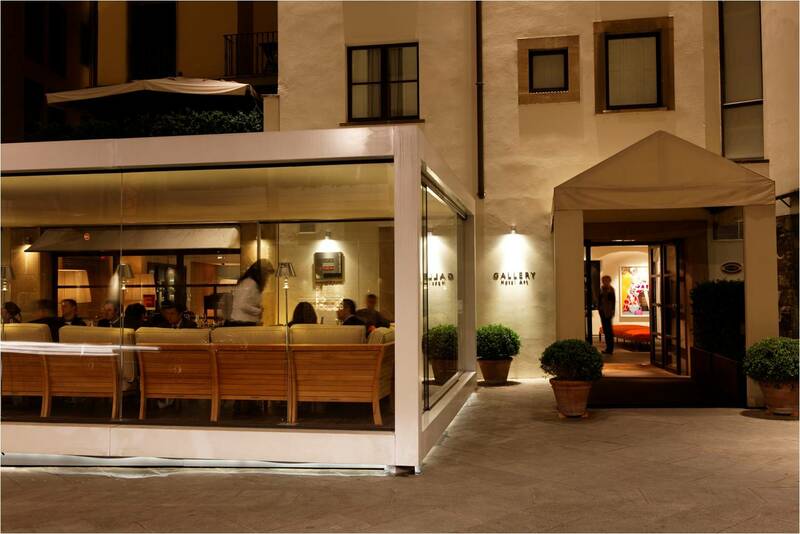 A boutique hotel that is 100% smoke free, this property has won multiple awards since it opened in 2009 and quickly earned high ratings for luxury and one-of-a-kind accommodations. 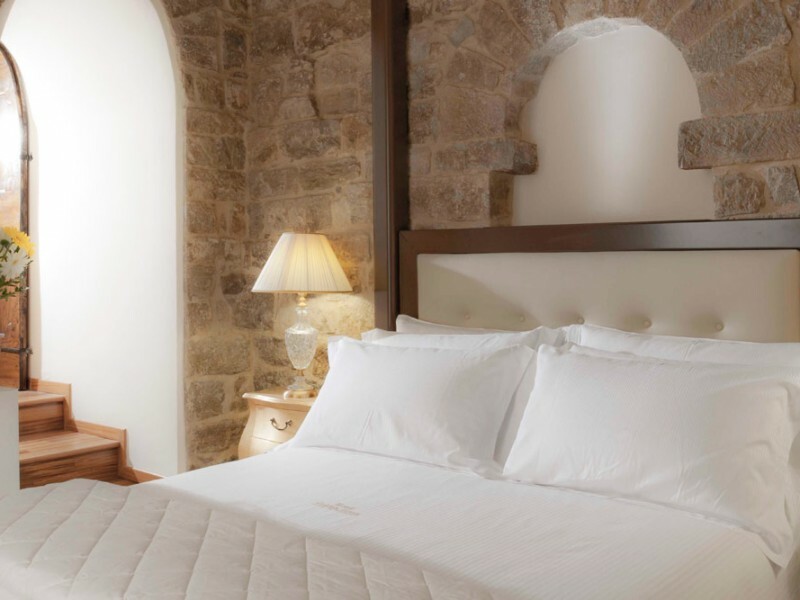 Original stone walls and frescoes make these guest rooms feel magical and visitors feel like royalty. 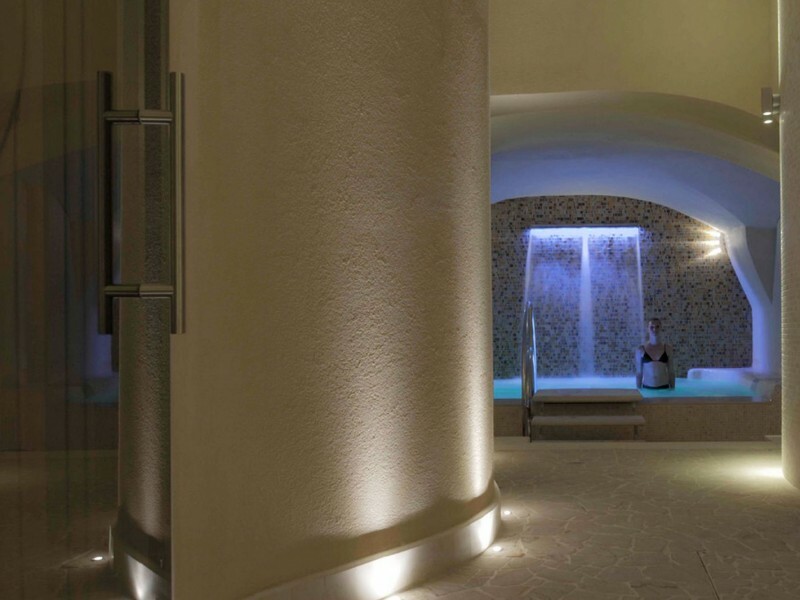 The on-site spa offers facial treatments, massages, manicures and pedicures, and more, and some of the guest room categories include free entrance. 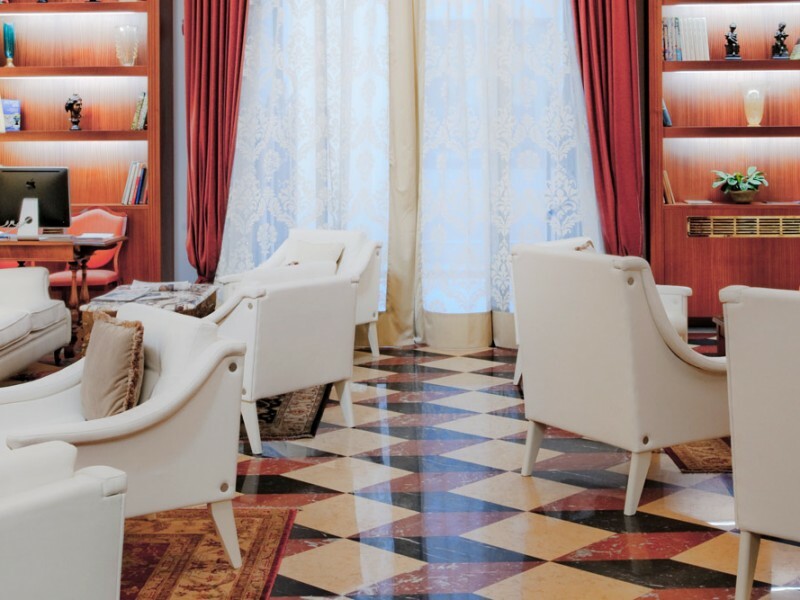 For further relaxation, enjoy aperitivo hour or dinner in the on-site Golden Restaurant or Bar, which features regal red velvet banquettes and beautiful parquet flooring. 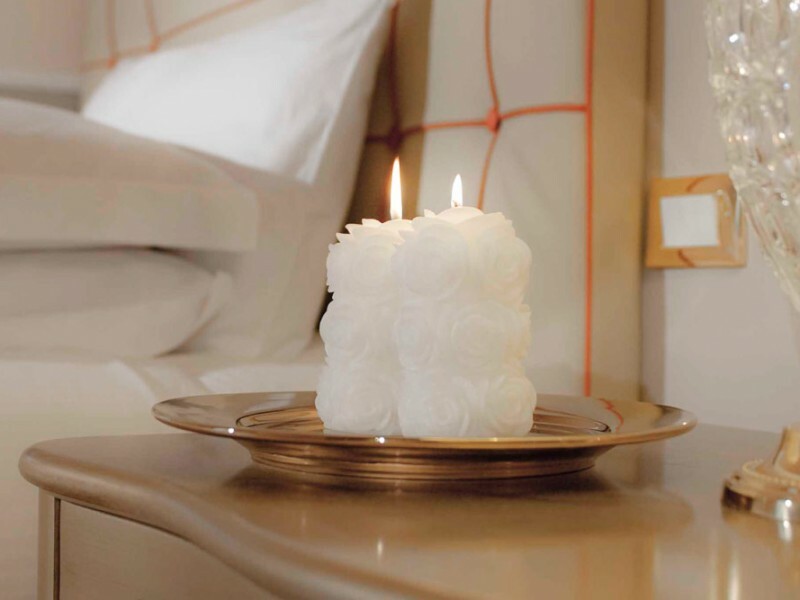 The guest rooms are simply decorated in light, bright colors and classic styles. In-room amenities include WiFi, marble bathrooms, and Sky TV on the large LCD televisions. 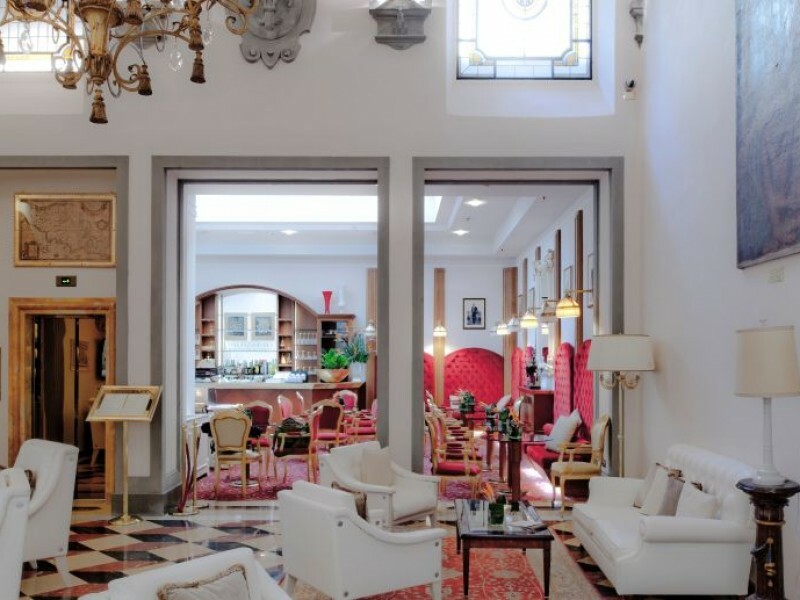 Straightforward enough for those travelers who don’t want frills but chic enough for those who want to experience Italian hospitality, these rooms feature two separate beds or a double, plus a marble bathroom, carpet or parquet flooring, and views of either the quiet street or Florence’s red rooftops. Enjoy the same accommodations as the Basic Chic category, but also take advantage of free access to the on-site spa, complimentary local treats, a coffee maker, and free minibar drinks. Spend your Florence vacation in the same quarters as the famous Strozzi family, who lived within this tower. 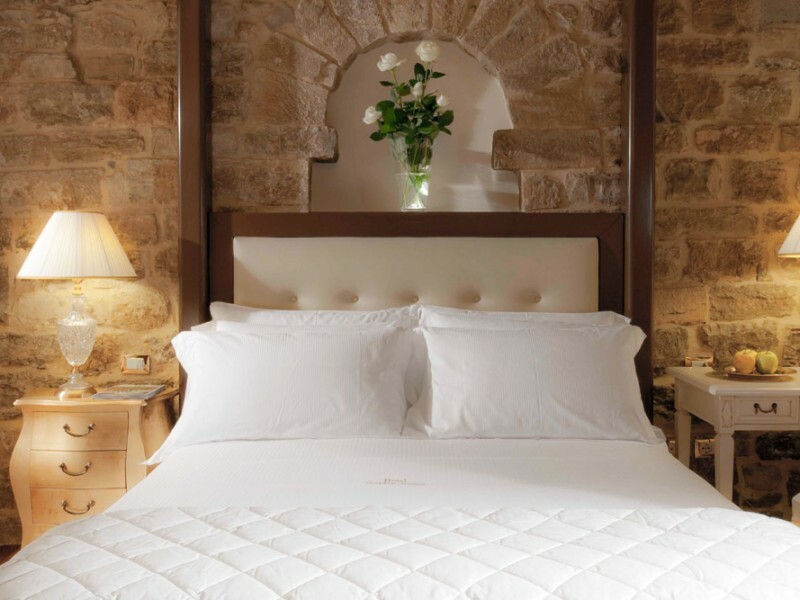 Exposed stone walls lend a romantic and rustic touch, but you’ll still enjoy the same modern amenities as the Deluxe room category. 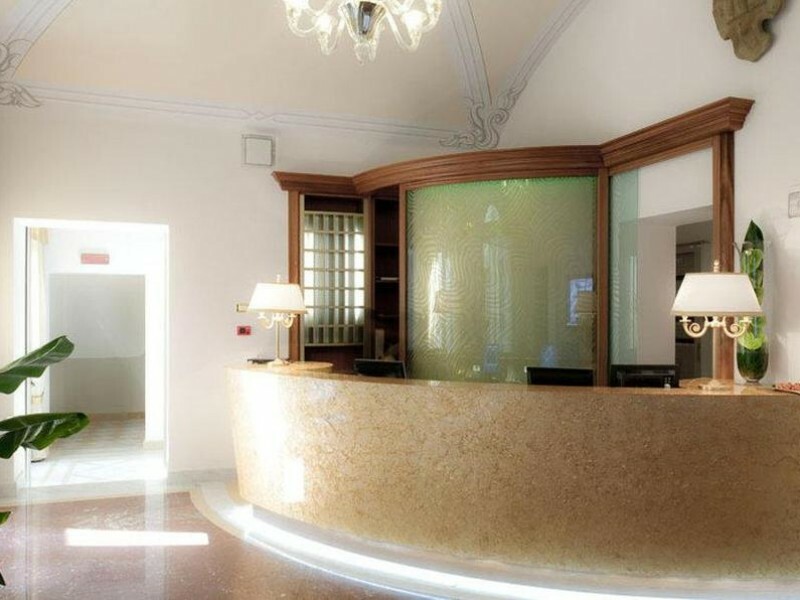 More spacious than the previous categories, this room also comes with a welcome treat of Champagne and fresh fruit. Families will be comfortable on the two single beds or one double, plus a sleep sofa. Also take advantage of the same Deluxe category perks. A bit more homey with wooden details and a bottle of prosecco upon arrival, this room comes with Deluxe amenities, plus two massages included. 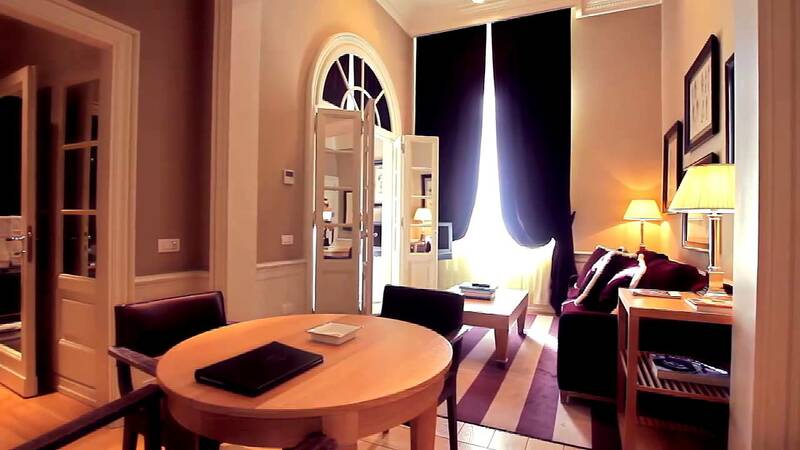 All rooms feature two beds or a double bed, plus a sofa bed, and some even feature a balcony. If you’d like to rent an apartment but still want the services of a hotel, the Family Suite offers the best of both worlds. Two adjoining Deluxe rooms provide plenty of space for families. The separate oversized living and sleeping quarters feel as if you’re in the guest room of a friend’s house. 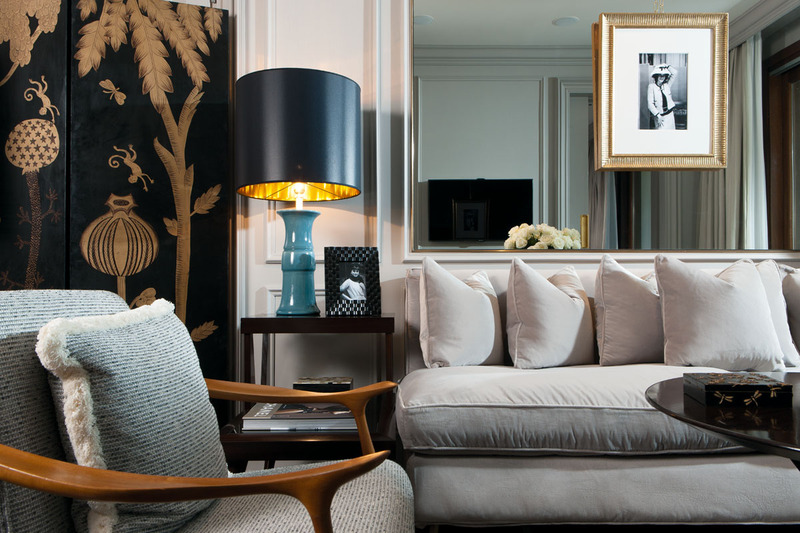 Plush armchairs, uniquely Italian furniture, and cozy carpeting make for the perfect home away from home. Also enjoy a complimentary fruit basket, a spa gift, and champagne with strawberries upon arrival. Tucked away behind Piazza della Repubblica, this luxury boutique hotel is close to all of the Florence’s top attractions. 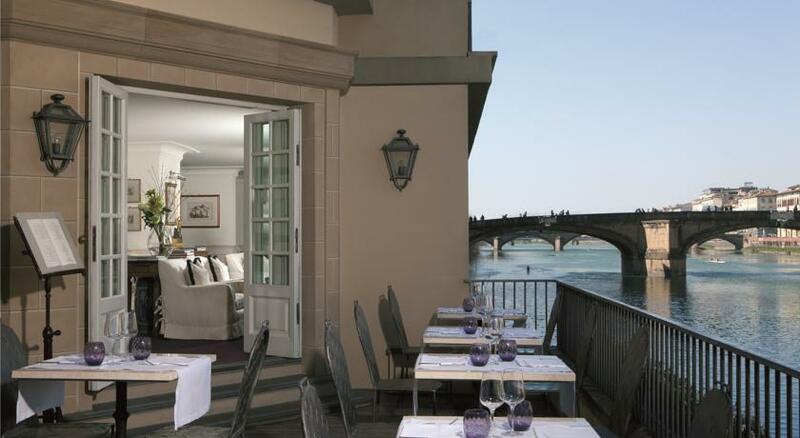 Within minutes, walk to the Arno River, Palazzo Vecchio, and the Duomo. Nestled amidst the city’s most desirable restaurants and high-fashion shopping, you’ll find yourself with plenty of distractions right outside of your door. Children under 2-years old stay for free in a crib; one child under 12 years stays for free in existing beds. Pets are not allowed in this property.